Disturbing facts pertaining to Australian prisons have caught the media’s attention. Many issues have come to light relating to the Australian prison system and how police are ignoring Australian laws. Why is there an increase in the number of people being imprisoned? Why is the rate of women and Indigenous people being imprisoned, occurring at a RATE faster than others? If you’re reading this wondering whether you accidentally misread the country of origin, only to be outraged when realising that this is occurring in Australia, you’re not alone. 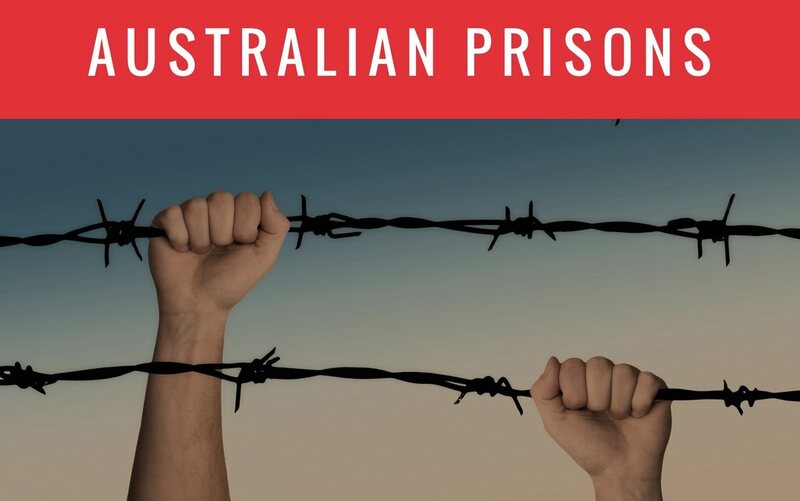 Australian prison news is a popular topic and it’s easy to understand why the Australian public has taken such an active interest. The Sydney morning herald published an article Why there are more prisoners but fewer crimes being committed In less than 24 hours after it was published, readers began actively participating in the discussion. Australian radio stations have also featured the breaking news as part of their top news’ stories. Why are more people being imprisoned in Australia? What do Australian prison statistics reveal and female prisoners australia? Recent statistics reveal that there has been a 30% increase in the number of Australians being sent to prison. The obvious question is why are more people being put in prison, especially when the number of crimes committed has decreased? According to a government publication, the NSW Government is taking action to address the State’s growing prison population. However, it seems that there are a number of actions the government has taken that do not reflect our values of fairness. What’s even more troubling is the disparity that exists when one analyses the statistics. 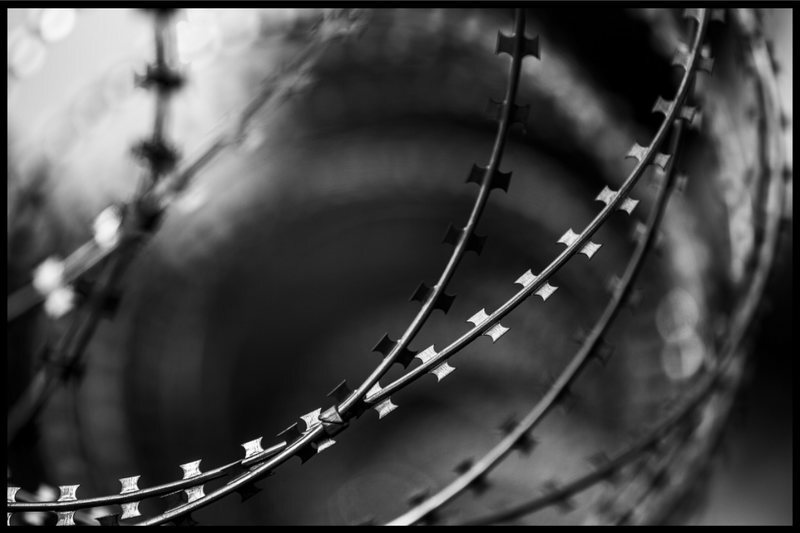 The number of women being imprisoned has increased substantially and disproportionately. The findings also revealed that Indigenous Australians and Torres Strait Islander people were between 12 and 16 times more likely to be imprisoned than the non-indigenous population. While non-indigenous Australians still represent the vast majority of those imprisoned, the aforementioned is a cause for grave concern. The Guardian reported that the over-imprisonment of Aboriginal and Torres Strait Islanders is “a national tragedy”. It’s easy to understand why “people are damaged by criminal justice systems”. The term Justice systems implies a fair system and yet all evidence points to the contrary. Is the Australian criminal ‘justice system’ really the antithesis of this term? These troubling statistics make an already precarious situation even more alarming. Why is this happening in 2019 and how can this be happening in Australia?! To better understand how these changes have occurred, it’s important to examine some of the laws that are responsible for this situation. “Over-policing” of Aboriginal and Torres Strait Islander people is an issue that was highlighted by Redfern Legal Centre head of police accountability and government law, Samantha Lee. Ms Lee cited tougher bail laws, more police powers and the Suspect Targeting Management Plan (STMP), that’s unique to NSW, as reasons for the inequity. When people’s legal rights are so heavily infringed upon, it’s no wonder why our justice system is being called into question. The Guardian reported that the purpose of intelligence gathering technology is to target people suspected of being likely to commit crime. This is reminiscent of Spielberg’s sci-fi thriller “Minority Report”, in which preemptive tactics were used to reduce crime rates. While this film is fictitious, it’s extremely disturbing to think that the NSW law enforcement watchdog is actually sanctioning such initiatives. How can this be legal? Children as young as 10 years old are being monitored “despite them not having committed any crime”. Prison surveillance: Is this actually legal in Australia? New laws would allow any criminal in jail suspected of posing a terror-threat to be put under surveillance. What happened to the basic tenet of ‘innocent until proven guilty’? The US government has been accused of similar wrongdoings since 9/11 and most Australians vehemently disagree with the practices. It’s a constant topic of discussion, as to whether or not the rights of the society outweigh the rights of the individual in matters of ‘homeland protection’. This definitely begs the question whether our legal rights are in jeopardy, given these new Australian laws. Do you think Australians are even aware that this is occurring ‘in our own backyards’? Share your thoughts with the SCB Legal blog community below and have your voice heard! SCB Legal values its loyal Law blog community and we invite you share your thoughts and get involved in the discussion. I absolutely agree with you; our system are failing our young people. There are very limited programs available in prison and it is often the case that they are moved around too quickly before they get a chance to start, finish or at least even obtain some benefit from the program. They are treated inhumanely and I don’t think people realise the consequences this has on people; society are oblivious and of the view that they should be treated poorly and live inhumanely. This is not how they should be treated at all! Having their liberty taken from them is their punishment and they do not deserve further poor treatment. People are being bail refused for minor offences because of the change in our bail laws which I personally believe are ridiculous. The notion of innocent until proven guilty has almost disappeared and people feel they are guilty until proven innocent because this is how they are treated. We need to change our focus to rehabilitation so that we can teach them and support them to reintegrate into society and be contributing members; it’s not impossible but people give up on them too quickly. I could go on forever about all the flaws but in a nutshell I agree with you 100%. If you would like to receive notifications for our upcoming blogs, please subscribe to our law blog. That’s so sad!!! Hopefully people will read what you’ve written and this issue will go viral, so these types of horrific injustices get media attention. We hope so too Kim. If you could assist in spreading the word and sharing our post, that would be great. I think this is a valid concern, where sentences are longer and the level of rehabilitation (or lip service to it also) is dropping. Indeed, many I know who have re-entered the community are falling thru the cracks due to the level of prejudice and discrimination because of their criminal background. I know of someone who did a stupid and foolish thing, yet after wanting to go forward in life, taking up uni and doing a degree part-time, they were expelled when the uni determined (fictionally) that they were a threat due to their past transgressions. (Yes this happened). As a society, we seem to fall into responses from: NIMBYism, paranoia and prejudice (Bias) – without realising that in doing this, we are setting the stage for many to then just fail and give up, falling back into crime. The worst horror is also the one that the Govt. pushes – about being tough on crime, yet what they don’t realise is that for most crimes that send people to prison… there will be an end-date and those people will come back out again. First time offenders then run smack into the anti-help and anti-rehabilitation (not verbally said of course) and indeed prejudice of society and thus a new career criminal may well be born, if they are not strong enough to look past the small minded attitudes of those who object to their background. Having known so many who have faced all this and more, I ask where is the reform and genuine help. When is the punitive attitudes and the ‘life sentence’ approach to a person trying to reform, going to change. It is horrific to think of that line “Once a Crim, Always a Crim” which is underlying so many decisions. I have seen qualified people turned from a job (for no ‘stated reason’) but really, it was due to prejudice against their past. They were no threat, wanting to get on with life and, in some cases, support their families. Indeed families also bear the brunt of things. A low level offender (sexual) can face stigma and vigilantism, directed at them AND at their family for simply being related. When will it change, it has to somehow… We can’t sustain such a existance… Especially as a country! Thank you for taking the time to provide such a detailed and meaningful comment. You are absolutely correct in everything you say. In relation to changes, the only thing that may possibly be of assistance in addressing these issues is the changes to our sentencing laws. There was a re want change in our sentencing options and model. The second reading speech has acknowledged the need for rehabilitation and also the fact that short sentences of imprisonments are not assisting in reducing crime. It has been said that where a sentence of 2 years of less is likely to be imposed, the benefit of incarceration must be weighed against the benefit of rehabilitation and alternatives to imprisonments must be considered even more so when this short period of imprisonment is to be imposed. I have observed one Judge consistently rely on this second reading speech and read put these particular parts during his judgment for sentence. I have personally seen him impose many alternatives including an intensive corrections order (ICO). However, this practice is by no means consistent throughout our criminal justice system. I have found that many offenders have significant drug abuse issues/disorders with underlying issues. We have a drug court program which has resulted in many amazing changes and has prevented reoffending; the Judges in the Drug Court have a full awareness and appreciation of the issues and difficulties faced by these people. They acknowledge that people are going to relapse and that is it almost inevitable in circumstances where a person has a long history of drug abuse. This Court gives people chances by not throwing them straight back into jail as soon as they relapse; they are given sanctions and only if they continue to relapse are they returned to custody to sober up and are then released. There is a lot of reporting, urinalysis, counselling, programs and mostly importantly, support for people doing this program. A person must be completely stable, have all support systems in place and either be studying or have employment before they will be able to graduate from the program. In the other Couets, if a person relapses, they are breached on their bail and often bail refused for a significant period. This breach is then taken into account and often the person will receive a custodial sentence with little to no support. It is a completely inappropriate course of action that is taken in these Courts (mainstream Courts). The only downfall with the Drug Court is that there is eligibility criteria including some people being excluded based on the types of offences they have committed or their location of residence. There are also limited spots and people are chosen at random from a ballot. There is little to no programs available in custody especially for those bail refused. Even if they are serving their sentence, a person will often start a course including study and or trade but then get transferred and not able to complete it. Once they are released, they are then precluded from society because they have a criminal record. People are being incarcerated for minor offences such as driving whilst disqualified or minor property damage matters. There is this “one size (sentence) fits all” where people are being given a jail sentence because “we need to ensure the community is deterred from committing these types of offences”. People are made an example of especially when there is a full Court room of people waiting to be dealt with. When it is domestic violence day at the Court even the smallest offence is treated harshly because society says it’s not acceptable; by no means am I saying that domestic violence is okay, it is not okay. But when a person slams the door and a bit of the door breaks, this is low level offending a person should be given a chance to not reoffend even if they have done the same/similar thing 10 times. This is NOT a matter where someone should be jailed. Sending people to jail exposes them to a significant risk of being released and committed further offences. They then have a hate and disrespect for the law and criminal justice system (sometimes reasonably so).